Cost: $10/session or $25 for 3 sessions. Puppy Socialization and Kindergarten is puppy playtime, introduction to novel sights, sounds and smells, interaction with other humans and a good start toward learning appropriate default behavior(s) such as sit and follow. A well-socialized puppy is much more comfortable in her world for her entire life, and as a result far less likely to ever become fearful and/or bite. You can register for one class at a time or get a discount for 3 classes. There will be at least two instructors for each class who will help you teach your puppy VERY basic cues such as sit, down and follow me. You can come as often as you want as along as there is room in the class and your puppy hasn’t reached the maximum age. This class can be taken concurrently with Puppy 1 or by itself. You must attend at least 5 sessions of Puppy Socialization and Kindergarten or complete Puppy 1 to be eligible for Puppy 2. We will help you build a strong relationship with your new puppy based on trust and cooperation. 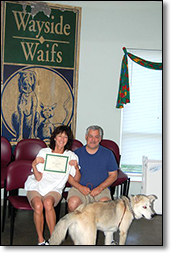 Puppy classes are an indispensable foundation for the rest of your dog's life. All training is gentle and fun and you will learn how to help your puppy blend in to your family. How to build a structure in your puppy's life to help him become a happy and well adjusted adult. Puppies must be 8 to 20 weeks old. Proof of vaccination history (puppies are required to be vaccinated every 3 to 4 weeks until 20 weeks of age). Puppy 2 is for recent graduates of our Puppy 1 class or any other beginning puppy class. 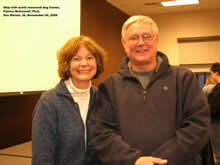 Training focuses on proofing verbal control without the need for food lures or rewards. Exercises include distance sits in play, settle down, rock-solid stays, and both off-leash and on-leash walking and heeling. Puppies must be under 18 months of age. All puppies must have had prior training. Your instructor will decide if previous training is acceptable for entering Puppy II. Proof of vaccination history (puppies are required to be vaccinated every 3 to 4 weeks until 20 weeks of age). Personalized attention in a small group setting! This is a beginning basic 6 week class for dogs and owners with a maximum of 6 dogs per class. 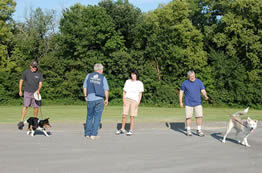 You and your dog will learn basic commands such as SIT, STAY, DOWN, COME, LOOSE LEASH WALKING, and RELIABLE RECALL. 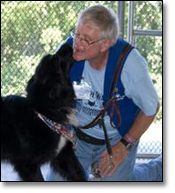 The class will also address any individual behavior issues that you may be experiencing with your dog. The goals are to establish benevolent leadership, strong control, and a lasting relationship with your canine companion. Dogs must not show any overt aggressive behavior or they will be asked to leave the class. Owners will be expected to control their dogs to avoid disruptive behavior such as excessive barking, whining, etc. We can help you with these issues via private consultations. Dogs must be over 6 months of age. Proof of vaccinations required. Canine Good Citizen is an intermediate-level obedience course geared towards passing the Canine Good Citizen certification test. Four sessions are class time and the final session is for testing. 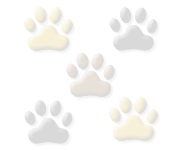 All dogs who pass the 10-step CGCtest are eligible to receive a certificate from the American Kennel Club. 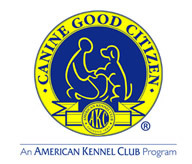 For more details about the Canine Good Citizen program, please visit www.akc.org. Basic Young Dog, Puppy 1 or instructor permission.. Current Vaccines (DHPP, Rabies & Bordetalla) All dogs must be non- aggressive towards other dogs. 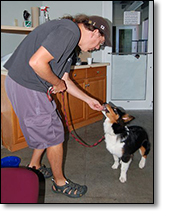 You are allowed to pet and talk to your dog during the test, but you can't use food rewards or toys to encourage him. Any dog that has a housebreaking accident, barks, growls, or snaps during the test, automatically fails.